You are browsing the Blog for Bicycle Parade. 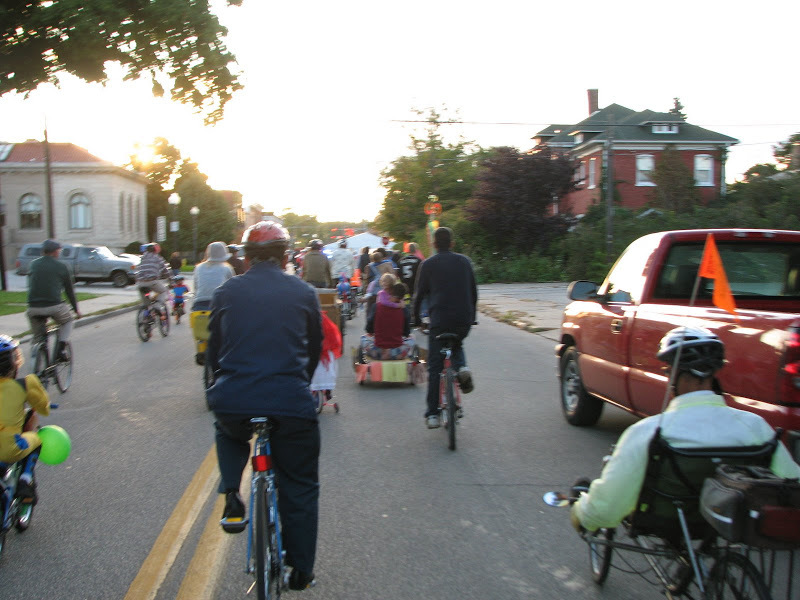 In conjunction with First Fridays in May, Chain Reaction Bicycle Project, Inc. sponsored the Bicycle Parade in downtown Goshen. Prizes awarded for decorated bicycles and costumed riders! Check out the Downtown Goshen First Fridays website for route information, etc. See the “CRBP Chain Reaction Bicycle Project” page on Facebook for parade photos! 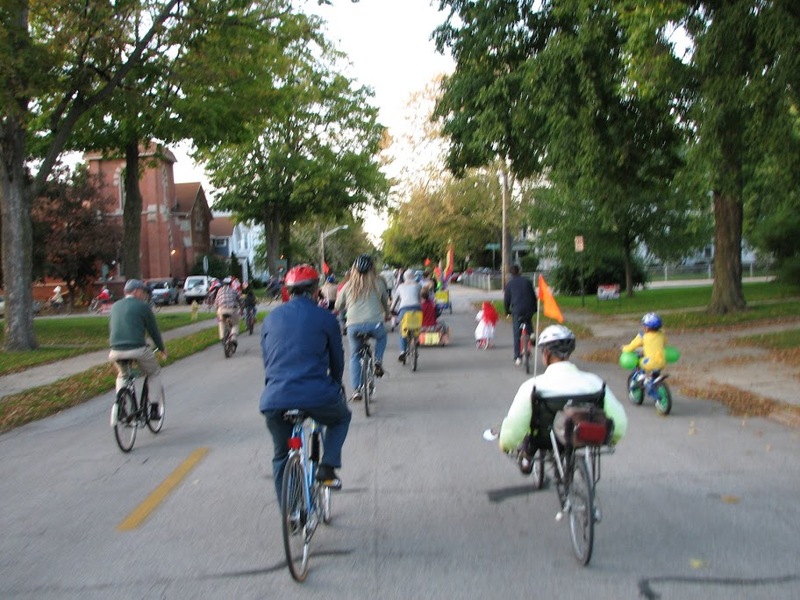 The annual Bike Parade is coming! Route: a Square defined by Lincoln Avenue, 7th Street, Jefferson Street, and 5th Street. There will be police officers at each intersection. The Gathering Place for the Parade will be in front of the old Jaxon Dry Cleaners (now Red Post) across from City Hall beginning at 6:00 pm.